The CFB uses a high carbon steel bladed to protect itself from corrosion and ensure that the blade stays sharp through repeated use. Inspired by the Japenese Tanto, the CFBs blade shape enable effective slicing, puncturing and, because of its semi serrated edge, sawing. 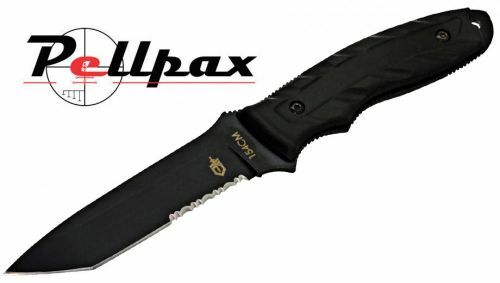 Includes a moulded plastic sheath suited for multiple carry options including M.O.L.L.E.